Andy Vernon, who recently gained a world and Olympic 10,000m qualifying mark, will take on the in-form Jonny Mellor, while Jo Pavey could challenge the UK over-40 mark in the Bupa London 10,000 on Monday (May 25). The 10km event acts as the national championships and is the second part of a weekend of road running in central London which starts on Sunday with the third edition of the Bupa Westminster Mile, a preview for which can be found here. 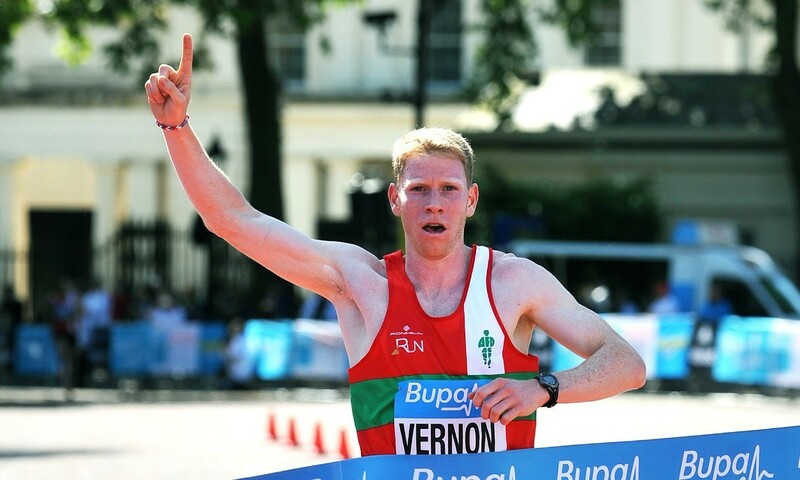 Vernon, who won last year’s British 10km title, returns to race in the UK after clocking a 10,000m track PB of 27:42.62 to win the high-class Jordan Payton Invitational race at the beginning of May. Mellor, meanwhile, was just outside his 28:42.20 10,000m best from 2013 in winning the men’s elite race at the Highgate Harriers Night of the 10,000m PBs last weekend. Olympic marathoner Scott Overall, who was third last year, and Glasgow Commonwealth Games finallist Luke Caldwell also form part of the field. The women’s race is headlined by Pavey, who as well as going for the British title will be chasing the national age-group record of 32:25 which has belonged to Priscilla Welch since 1985. The European 10,000m champion will be looking to improve on the 33:21 she ran at the recent Morrisons Great Manchester Run. The 41-year-old, who was this week named on the GB team for next month’s European Cup 10,000m in Sardinia, won the British 10km title in 2011 when she beat Gemma Steel and Paula Radcliffe just six weeks after making her marathon debut in London. Charlotte Purdue, Beth Potter and Elle Vernon are other leading contenders, while Helen Clitheroe was a late withdrawal through injury. Around 12,000 runners are expected to complete the event that starts on The Mall and takes in Trafalgar Square, the City and Whitehall before finishing on Spur Road in front of Buckingham Palace. The Bupa London 10,000 starts at 10am.